Samsung will at CES 2014. in addition to the large curved TVs and 12-inch tablet also introduce and its new line of Smart TV for year 2014. 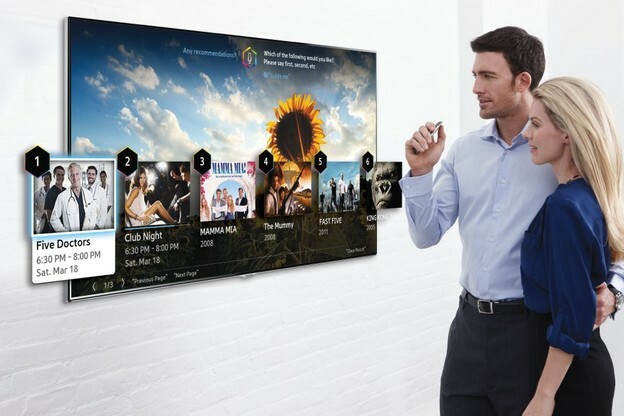 After their smart TVs already get the opportunity of voice control in 11 countries, Samsung will extended their offer to an additional 12 markets, and will give them an extra option of managing by Finger Gesture controls, or by pointing and finger movements. When you point a finger at the screen, you will be able to start or stop the movie, change the program, mitigate or amplify the sound, and browse the contents. While all this is nothing revolutionary in technological terms, it is obvious that Samsung tries in their smart TVs, install all types of control systems available, in order to continue to remain among the forerunners of new trends in the consumer market. So far we do not know whether this system came from their development studies or they have made it ​​in collaboration with a partner.